Daniel Teymur and former Cage Warriors champion Chris Fishgold will look to claim their first promotional wins when they clash at UFC Prague on Feb. 23. The UFC announced the featherweight fight via its social media platforms Friday. Teymur (6-2-0) is known for his striking ability but has failed to have his hand raised in two trips to the Octagon. 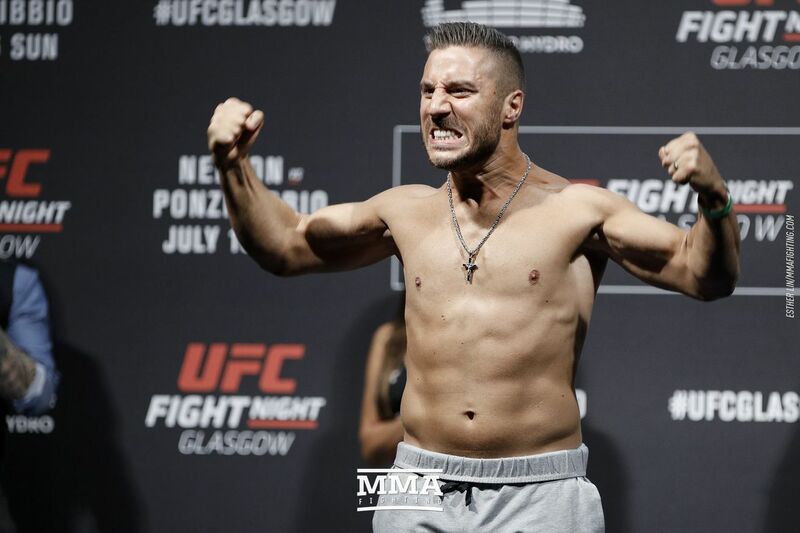 He debuted as a lightweight as UFC Glasgow in 2017 and lost a unanimous decision to Scottish debutant Danny Henry. In his second outing, he moved down to featherweight, but was submitted in the second round of his bout with Julio Arce via rear-naked choke at UFC Utica. Fishgold (17-2-1) dropped down to featherweight for his UFC debut and suffered a first-round loss to highly touted American Calvin Kattar. Ahead of his signing, he was the reigning Cage Warriors lightweight champion. He claimed the title in 2016 with a first-round rear-naked choke finish of Adam Boussif. He went on to defend the title on three occasions against Jason Ponet, Nic Herron-Webb and most recently, Alexander Jacobsen.